Nearly a century ago, women finally won the right to vote in the US. 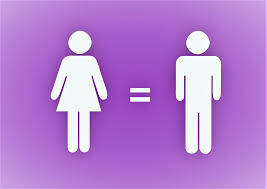 Although much has been achieved since, there is still a long way to go to bring them true and full equality. In Pakistan, women constitute around 48% of the population but they fall far behind in terms of political representation. The World Economic Forum’s Global Gender Gap Report 2018 ranked Pakistan at 148 out of 149 countries. Although the quality and accuracy of this data can be challenged, the reality remains grim even if the ranking were a few notches better because of social norms and inherent socio-economic biases that lead to inequitable treatment of female workers. Can we imagine a Pakistan where women actually have more economic power, are included in decision-making, and achieve greater participation rates in educational institutions as well as the workplace? Women, when empowered economically, can empower their families as well as communities. They have the power to change industries and businesses from the inside out. When will economic development and gender equality go hand in hand? So why haven’t we invested more in supporting and developing these aspects of our economy? Having met officials, members of parliament, businesswomen and technocrats in a series of briefings, I have started to track causes and identify where the dissonance lies. Firstly, “there is a general lack of commitment, understanding and purpose among the males here”, according to a senator who seemed rather frustrated because they want to see change being implemented but the current systems are the obstacle. How can we design and implement updated frameworks which are based on deep knowledge and understanding of basic rights of women for their economic and political empowerment? 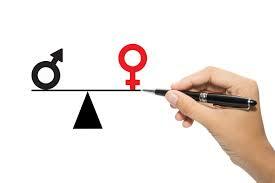 Secondly, the absence of research on gender-focused issues that result in discrimination. How can quality primary and secondary research on gender inequalities be collected through collaborations between the public and private sectors? Thirdly, absence of enough legislation that can help in preventing violation or denial of women’s economic rights. Can we have laws that can protect and promote women entrepreneurs both locally and internationally while aiming at poverty alleviation and job creation? Fourthly, a restricting social milieu in a country where women are raised just to do jobs and men to do business. How can we instill confidence in women that they are capable of doing everything as much as men can? Pakistan has a lot of talent but social taboo and norms obstruct that talent from unleashing itself. Not only that, we also lack legislation, both legal and financial, as well as capacity-building programmes which will eventually help women scale their businesses up once they have had the confidence to go past the start-up phase. Last but not the least, there are nearly 10 female chambers of commerce and industries but they seem to be disconnected and thus lack the strength that is required to put them on a par with male chambers for developing strategic synergies. Additionally, most chambers in general are male dominated even when they represent the country abroad. Can we all work to increase female participation in male chambers through legislation and also enhance their representation in delegations that visit abroad? Also, can male participation be increased in female dominated forums? If we want to see meaningful progress at a personal, societal, provincial and national level, we will have to start implementing dynamic, gender-sensitive principles and norms, as well as unlearn conventional approaches to basic rights for women. Our cultural and patriarchal societal structure cuts through these politically correct ideals. However, this is exactly why we must challenge these preconceived notions of suppressing women financially and politically. Naya Pakistan can bring increased representation and participation of women in political and economic spheres.